Quite a heavy blog this time. 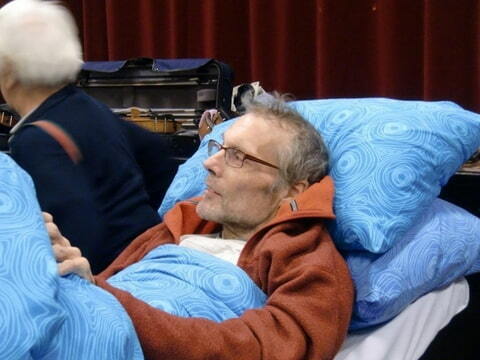 Since december last year the conductor of our amateur string orchestra and viola player in the Rotterdam Philharmonic orchestra with Gergiev has cancer in his belly and liver. He is now in his terminal phase because operations or chemotherapy has stopped. Someone discovered that there was a ""Ambulance (last) wish"" for terminal ill children or eldery people to get the wish to visit 1 time in their life Disney or a concert or something special in their life. 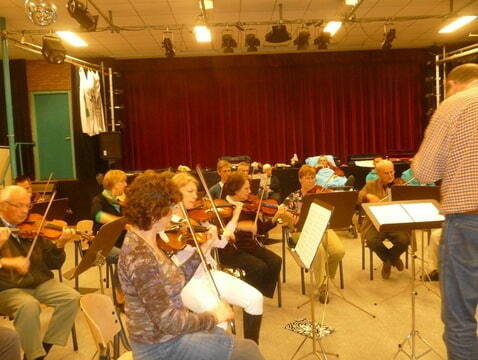 So a girl, a eye-doctor in our orchestra gave our conductor the chance to visit his last rehaersal with our orchestra. He thought that he would stay 15 minutes, but he was there till the coffee-break. He got a little water and made still some remarks about the way of playing of the violinists. Than he went home with the 2 ambulancemen and his wife who is also playing in the orchestra. Than our new conductor and double bass-player of the orchestra said that we would not play on the funeral, because with all the emotions we as amateurs would play too bad, so they will use old recordings of our concerts and professionals from the Rotterdam phil. orchestra will play. But there is also a big chance that a lot of people of this orchestra who would like to go to the funeral, could not go, because a lot of them will soon visit Shanghai, Nanking and ShouShou as part of a bigger orchestra, from which our string orchestra is one part of 3. At the end of our last season in june we gave a concert in a windy garden of the eye-surgeon and our ill conductor, in much better shape than now, was there after hours of chemotherapy (you could see the bandage on his arm) and suddenly had to conduct. I made a movie of his last concert. After the last tone/accord at 13.55 minutes there was a moped who passed by with exactly the same frequency, perhaps symbolic that after his last accord our conductor will go away with the moped. I hate funerals and only will go perhaps to my parents if I survive them, but this was a better way to say goodbye, because he still lives and had a fine last moment with classical music, which he loved so much. I also played with this conductor recently Hejre Kati of Jeno Hubay and Porumbescu Ballada, the reason I joined this string orchestra. With another orchestra with the same conductor I played the Planets of Gustav Holst. Impressive music and after the planet Neptune you only hear the sirens, some singing woman, after leaving our solar system towards heaven.